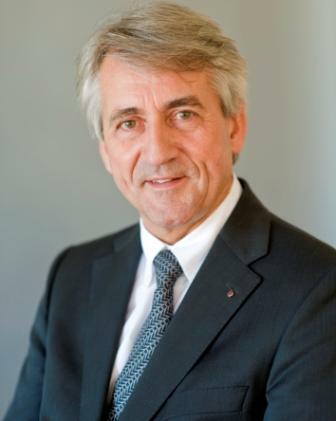 Dr. h.c. Klaus Schormann has been the President of the International Union of Modern Pentathlon (UIPM) since 1993. This position was jointly held with the President of the International Biathlon Union until 1998 when the two sports separated into self-governing bodies. In his early career, Dr h.c. Schormann trained as a teacher, with focus on art, geography and sport. His interest in the development of sport lead Dr. Schormann to partake as a member in various delegations to a number of ministries in Hesse including: the Hessian Ministry of Culture, Ministry for Interior & Sport and the Ministry of Economics. He is currently still part of the Delegation to the Ministry for Interior & Sport of Hesse. Dr h.c. Schormann has always displayed a high level of voluntary commitment to sport having been involved since 1965 in various roles for Modern Pentathlon. Most notable is his position as President of the German Association for Modern Pentathlon which he has held since 1984. In 2005, Dr Schormann was awarded an Honorary Doctorate Sport Science of the Johannes Gutenburg University Mainz-Germany and has received numerous awards and distinctions in Germany, Chinese Taipei, China, Kazakhstan, Latvia, Lithuania and Monaco in recognition of his services to sport. In 2007, he also joined the Executive Board of the German Olympic Academy. Dr h.c. Schormann has published a number of articles and contributions related to modern pentathlon and issues related to the Olympic sport movement. He has also been a contributor to the study and publication “Coubertin’s Postulate on the Unity of Sport and Art and the resonance of this with Olympic Tourists in Sydney – Consequences for an Olympic application in 2012” by Prof. Dr. Manfred Messinger & Prof. Dr. Norbert Müller. Within the international Olympic movement, Dr h.c. Schormann has been a member and coordinator of the IOC’s working groups on Culture and Olympic Education since 1994. In 2008 he also became Chairman of the IOC Sub-Commission on Youth Olympic Games and member of the ad-hoc working group for Educational Matters linked to the IOC Commissions for Culture and Olympic Education and Sport for All. Dr h.c. Schormann is married with two children and one grand-child.